Here I will highlight businesses that serve the art of teaching and studying music. The links that are listed are businesses or services that I have used or are affiliated. This is just a start. More businesses will be added soon. If you have a business or service that you would like to be listed, please contact me via the “Contact Us” form and we will review it for possible submission. Music Teacher’s Helper is an excellent studio management program which allows you to track your studio finances, communicate with your students with lesson reminders, track lesson progress, host a studio website and much more. The website also includes a forum where you can connect with other teachers and read blog posts about everything pertaining to the teaching of private lessons. Read our expert review of this service. I have used Vistaprint for years for business cards, posters, postcards, presentation signs, brochures….everything you can think of. The prices are very competitive you can choose their designs (100s of them) or design your own. What more do I need to say. Amazon is the superstore that it proclaims to be. You can find everything there – books, music, mp3s, business/office supplies, and way more. It’s your one-stop shop and with the Prime program, they give excellent deals on fast and free shipping. Sometimes we need a little extra money. Why not put your passion to work for you and try Internet Marketing. Wealthy Affiliate is a full training program on how to make money as an affiliate on the internet. Detailed training and a huge community of people who are doing it and succeeding at it to give you advice. Songs to Sing in the Car with Kids! 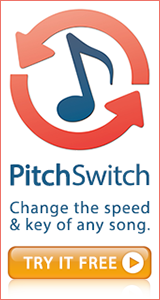 This site was submitted by a reader of Music Lessons Resource and it offers a great list of songs for young kids to get singing! An info-graphic showing all the various careers in the music industry. If you want to be in music but don’t know where to start, check it out! If you need classical vocal music, the ONLY place you need is Classical Vocal Reprints. Glendower Jones, the owner, is an absolute expert about EVERYTHING pertaining to vocal music. Even if you need to find the rarest piece of music, chances are he will be able to get it for you. Go to him FIRST. Self-proclaimed as the “World’s Largest Sheet Music Collection”, this large online music store sells music for all instruments. 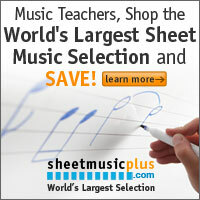 Fast shipping and even a Rebate program for music teachers make this a one-stop shopping site. This is a fantastic resource for public domain music. Search for anything that is public domain and you can download them in a pdf file for free. New titles are being added all the time. Everyone knows iTunes. You can find music, apps, books, videos and more. Recorded accompaniments of musical theatre and popular music that you can download and use for practice or performance.